July has been hot and people are away on vacation, so it appears that we’re not getting out on our bikes as much as earlier in the Bike Challenge. FABB has now dropped into the high 20s in the national rankings. We’re sure this will change in the remaining months. 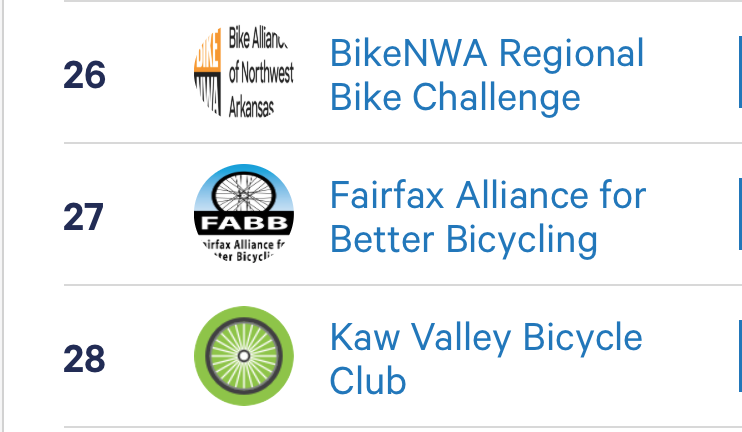 To further encourage FABB members to get out and ride (and log those miles for the National Bike Challenge! ), one of our donors has offered to make a donation in a two-for-one match of dollars to points per participant as of August 31. FABB currently has 197 points per participant, which would be worth a $394 donation. So, please get out there ride. Let’s get FABB back into the top 20 and then the top 10. See the National Bike Challenge site for details on participating. 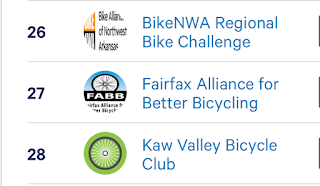 And, of course, you can always donate to FABB to help us advocate for better bicycling by clicking here.